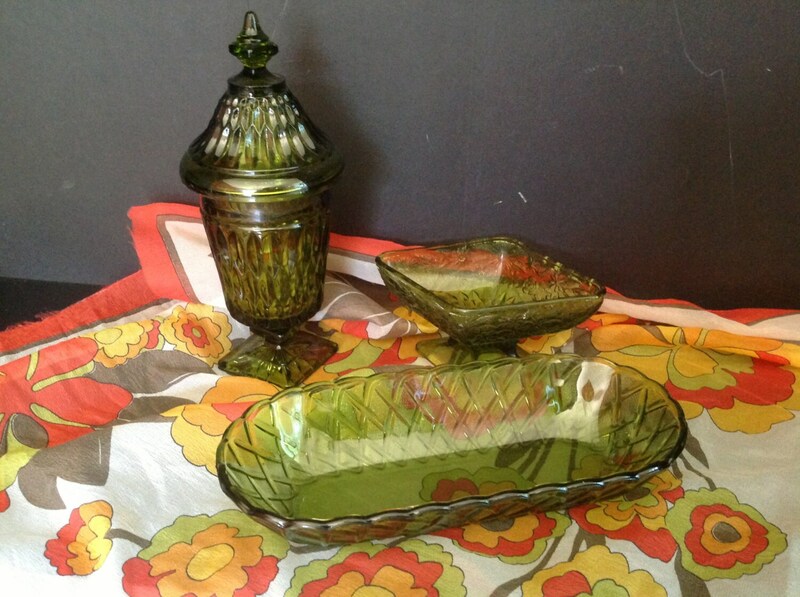 Start your cut glass collection with this set of three items. 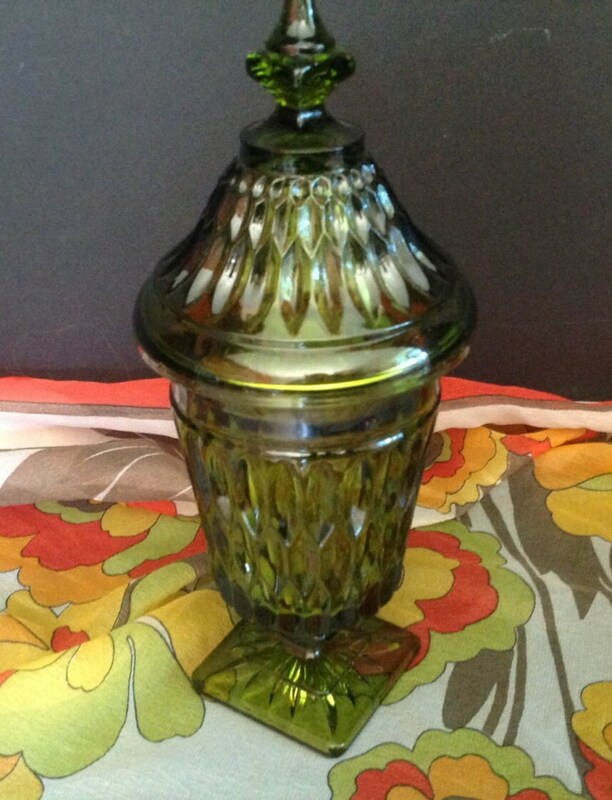 The apothecary jar has vertical leaf shaped cuts and beautiful tip on the lid. 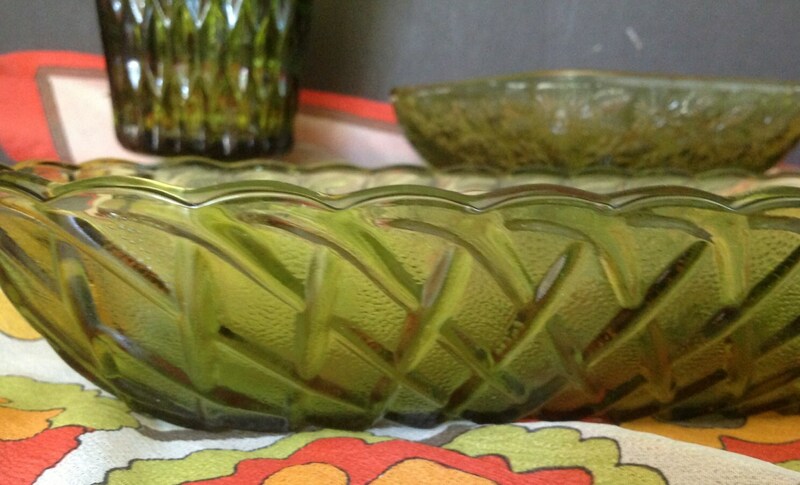 The larger oblong bowl has a criss-cross basket weave cut and scalloped edge. 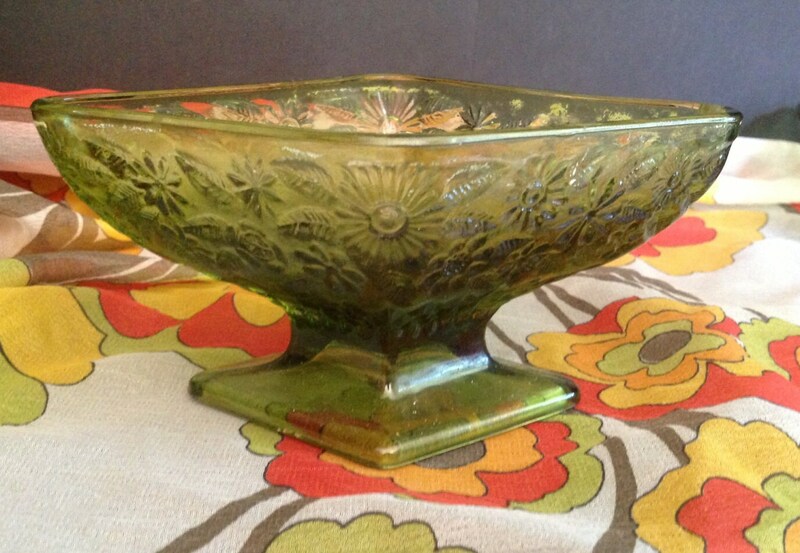 The smaller bowl is diamond shaped with a footed pedestal. It features an organic pattern of many styles of flowers. 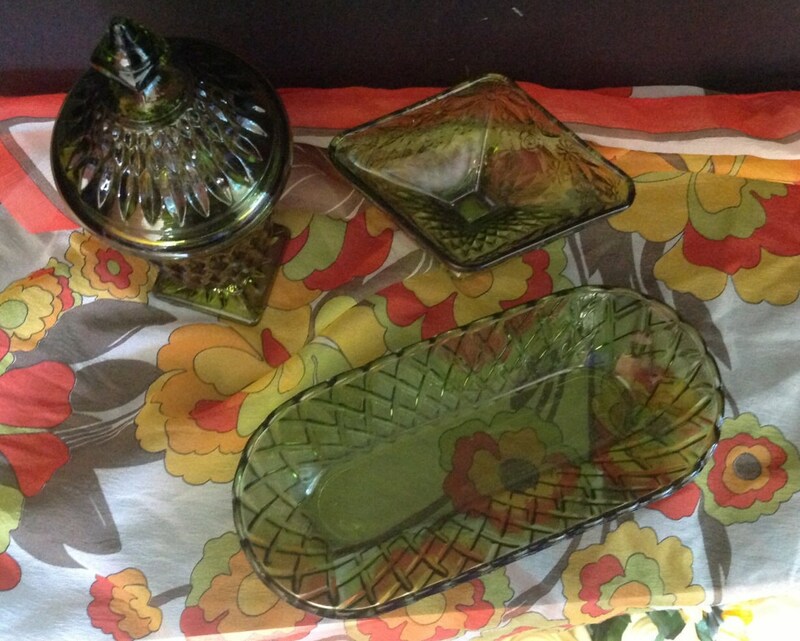 These 3 pieces complement one another wonderfully. SIZES: apothecary jar is 9 1/2" tall; the oblong bowl is 4 1/2" wide x 10 1/4" long.